Microsoft will start rolling out the Windows 10 Creators Update to the general public on April 11th. 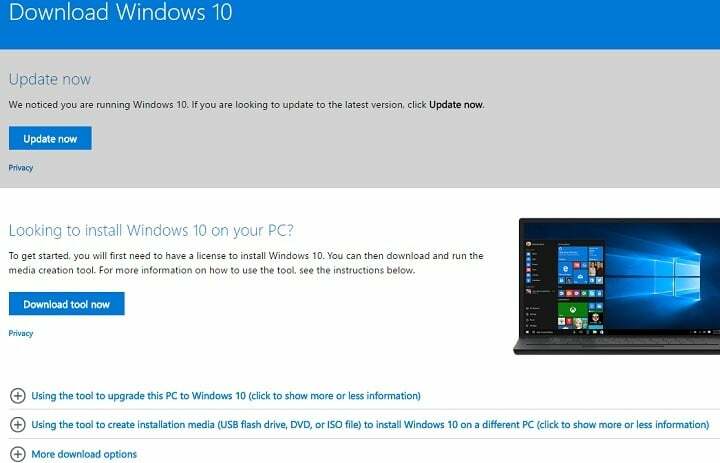 If you’re eager to get your hands on the update as soon as possible, you can simply download the Windows 10 Creators Update official ISO files now. In this manner, you won’t have to wait until Windows 10 version 1703 appears in the Windows Update Center. Before upgrading to the latest version of Windows, make sure your computer meets the necessary system requirements. Also, follow the recommendations listed in this article to properly prepare your PC for the Creators Update. Make sure that you have a stable internet connection, sufficient free space on your computer’s hard drive, a USB or external drive for the download, and a blank USB or DVD (and DVD burner) with at least 8GB of space. And remember: the ISO links provided by Microsoft are valid only from 24 hours starting at the time of creation. Windows 10 Home is the version of Windows for general users and doesn’t include the advanced or dedicated features available in the Windows 10 Pro version. Windows 10 Pro is the version of Windows developed for more advanced users and professionals. As a quick reminder, you’ll need your business email address to download Enterprise ISO files. You can download the 32-bit and 64-bit versions of the Windows 10 Creators Update ISO files from Microsoft’s update page. You can find more information about the upgrade process on the same page. The ISO file size is 3.5GB. If you’ve already installed the Windows 10 Creators Update on your computer, use the comment section below to tell us more about your experience!